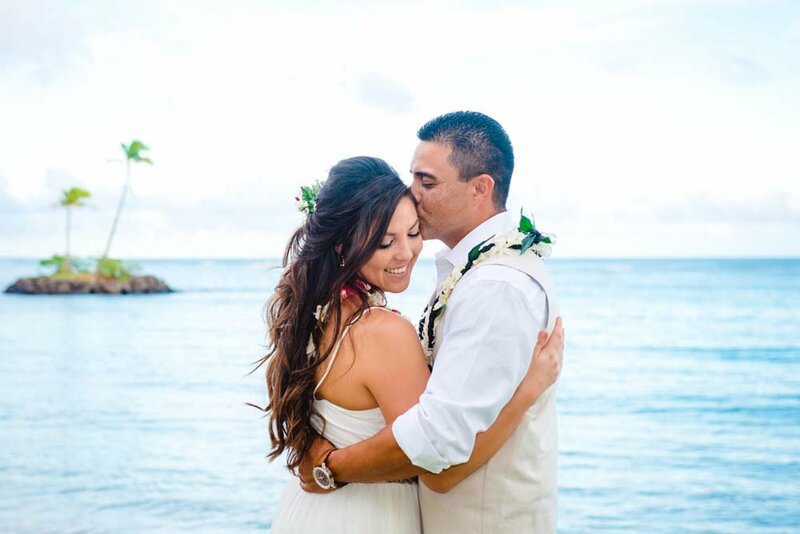 Hawaii Wedding Blog - Weddings of Hawaii | Lauren C.
Magic Island is one of our favorite wedding locations! 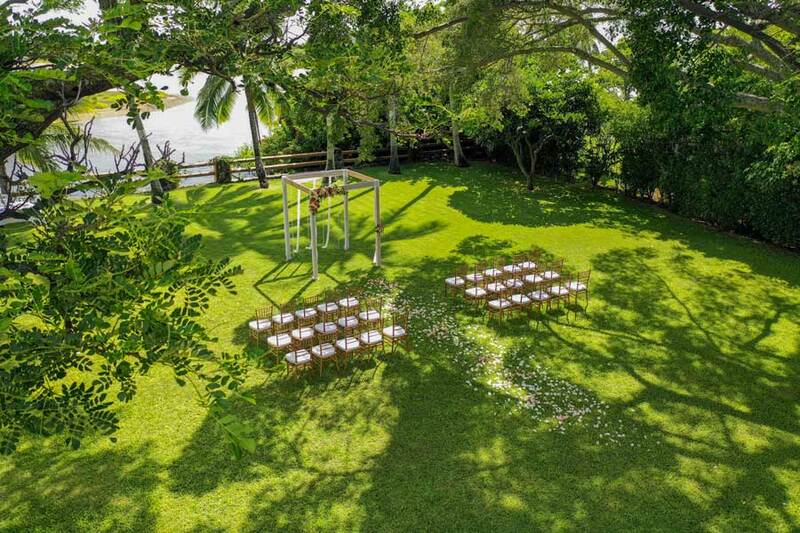 It’s our top pick for a sunset ceremony, but it’s beautiful during the day too. It’s an iconic location with lots of variety, making for a beautiful photo gallery. Here we have all of the insider info on this location to help you decide if this is the best choice for your special day! Isn't Diamond Head an amazing backdrop for a ceremony! Having a wedding or vow renewal is not something done often, so one of the questions that often comes up is, "Is tipping common? If so, how much?" The short answer: Yes, tipping is common in the wedding industry. As we like to say, "tipping isn't expected, but it's always appreciated." If you Google this question, there are many articles about tipping vendors. Just remember that many of those are for large, traditional weddings. We're trying to make it easy with this article by letting you know what's common here in Hawaii. It's common to consider tipping anyone who performs a service on your special day. 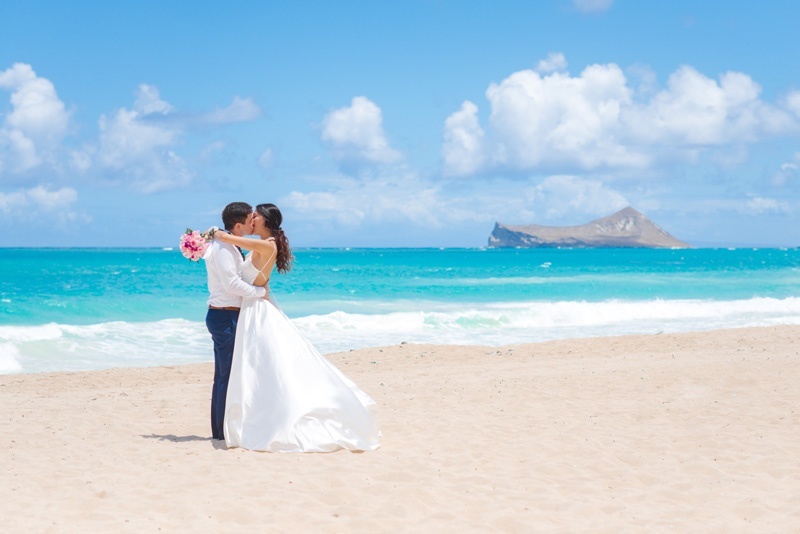 It's a question we often hear: How can I get my wedding dress to Hawaii? While it's easier for the groom, transporting your wedding attire is something you need to think about, especially for the dress. We generally have two options we recommend. It's rare these days for the airlines to loose your luggage, but it's best to play it safe and not pack your wedding dress in your checked luggage. We ALWAYS recommend bringing your dress on the airplane as carry-on luggage. The safest place for the dress is in your possession. By carrying it on the plane with you, you're responsible for it arriving safely and undamaged. If you'd like to have your dress pressed and your hotel does not offer the service, you could use Marie Louise Cleaners (808-593-1110 ). They do same day pickup and drop off, so it's very convenient. Many of our brides use their services, so we feel confident recommending them. Make sure to schedule ahead of time to ensure they can accommodate you. 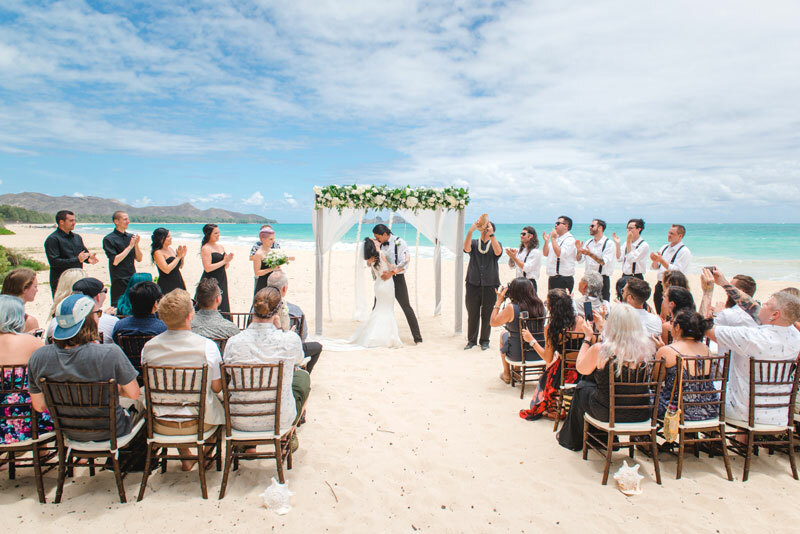 If you're coming to Hawaii for a wedding, honeymoon, or renewal ceremony, where you choose to stay can make all the difference. 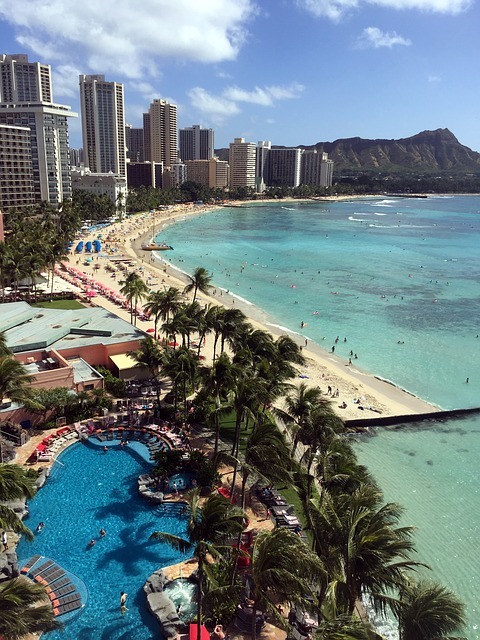 Whether you're looking for the beauty of the Hawaiian mountains and beaches or the energy of the Honolulu nightlife and shopping scene, the island of Oahu has plenty to offer. We get asked all the time where we recommend staying. We usually say Waikiki, which is next to Honolulu on the island of Oahu, as that’s often the best fit for what our couples are looking for. However, the whole island is beautiful, as are the other islands of Hawaii.